Clad in Armour of Radiant White. Here are links to the novel on Amazon for the United States and the United Kingdom. “It is September 1959 and two significant things happen to eleven-year-old Ellen McCann; she goes to the Convent school in the neighbouring town of Turneley where she meets Erica Latimer, and, back at home, she falls in love with Michael Chadwell. I’m not sure I understand this distinction. I’m not really sure what a conceptual writer is! Surely all stories start with an idea or ideas? And, is it possible not to be visual when you are writing fiction? Sorry – more questions than answers here! Clad in Armour of Radiant White is a coming-of-age novel and is very much autobiographically based in terms of time and settings. So yes, I had lots of images in my mind when writing it. Equally, I needed story ideas to make it fiction and not autobiography. I’ll try to answer this alongside Question 4. The over-arching theme of Clad in Armour of Radiant White is growing up – with all its joys and sorrows – with the focus on friendship, sexual awakening, love and loss. There are several, interlinked story strands in the novel that allow for an exploration of the gains and losses brought about through education and a religious upbringing (Catholicism). Therefore, I would say that social class and religion are important underlying themes. I think that these themes were there from the outset. And, as a coming-of-age novel, the general outline of the story was straightforward. But as the novel progressed and the themes strengthened, new plot ideas occurred to me. So you could say that the details of the story/stories emerged from the themes. I think ‘literary fiction’ is hard to define but easy to recognize. And I don’t think it’s useful to think of it as another genre (another problematic word). Indeed, it can and does incorporate other genres. For example, Toni Morrison’s Beloved is literary and historical; Margaret Atwood writes literary science fiction. All (and any) genres could qualify as literary fiction, but, of course, not all of them do. Perhaps one way of looking at it would be to say what is not literary fiction – a mine-field across which I’ll try to tread carefully! Romances, historical or otherwise, chick lit, crime fiction, thrillers, science fiction, etc. that are formulaic and can be (and are) churned out at speed – what Linda Gillard in a previous interview called ‘comfort’ books – are not literary fiction. Often they are classified as ‘popular’ fiction which, again, is problematic as it implies that literary fiction, being less popular, is somehow elitist. Which, of course, some of it is. But it doesn’t have to be, and most of it isn’t. So, back to the question, what is literary fiction? I’ve been reading through some of the previous answers to this and would agree with many of the analyses. J.S. Watts sums it up succinctly: ‘…well-written, stylish fiction with something to say beyond the immediate storyline…good writing with depth.’ Other words include: challenging; resonant; experimental; utterly fearless. Another word I would add to the list is ‘accessibility’. I spent many years teaching literature (mainly the novel) to mature students and was often struck by how the best novels managed to be totally accessible while at the same time lending themselves to detailed study of their depths and complexities. In other words, they could be read on as many levels as the readers were capable of. Excavating these layers is one of the joys (and purposes?) of good literature, but it can only be undertaken if the novel is readable. So yes, experimental is good, but if a novel is not ‘accessible’ it won’t get read. How many people do you know who have read Finnegan’s Wake? An important novel? Possibly. But what’s the point if hardly anyone can read it? Elitism – ‘not for the likes of most of us’? Which isn’t to say that literature should never be difficult or challenging – but when it is ‘impossible’ to read perhaps this gives literary fiction a reputation that is unhelpful for those of us with more modest aspirations? My primary aim was to capture in writing a time and a place and a set of experiences which were very dear to me. A record, if you like. And in doing so I hoped that readers would connect with it through their own memories and/or life experiences, similar or otherwise. In addition, I hoped that the story would entertain and amuse. I do regard myself as a writer of literary fiction. I put a great deal of thought and effort into both the form and content of my books and spend a lot of time crafting, editing, polishing, editing, adding, subtracting, editing – again and again, over and over. As a coming-of-age novel, Clad in Armour of Radiant White is about the protagonist, Ellen, from the age of eleven to eighteen. It is the story of what happens to her, and around her, during those years. But I wanted to focus on the how and the why of these happenings, in other words, to focus on the themes, and so I played around with the structure of the novel. There are twelve chapters, sandwiched between a split chapter which deals with the final scene of the novel. These chapters are the twelve months of the year, beginning with September to reflect the start of the school year. Adopting this framework allows for the treatment of the school year, the seasons, and the liturgical calendar. The months are sequential – September, October, November, etc. but the years are not. E.g. September 1959; October 1961; November and December 1963 and so on. Within this, there are also flashbacks to Ellen’s primary school years (some month-specific, some not). The effect of this is that the plot unfolds gradually as information is given but details are withheld until later in the book. Similarly, it also allows for character development to be demonstrated rather than described. I spoke about layers earlier. I think Clad in Armour of Radiant White has many layers, not all of which will be apparent to everyone. In particular, the religious element that runs through the book probably needs a religious knowledge and sensibility to be fully appreciated. (A clue here: the names of two of the characters have a specific significance.) Hopefully, though, there is sufficient other content to please most readers. Up to now, I’ve only tried to sell my books on Amazon, but I suspect that it is difficult to make inroads elsewhere with my kind of fiction. Unless and until, that is, more bookshops are willing to stock independently published literary writers. 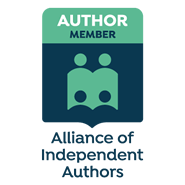 One question often asked is: how should we, as independent writers, market our work? If we emphasise the fact that it is literary fiction and put it into that category on Amazon will it attract less searchers? Probably, but what’s the alternative? You do see some strange books in all the Amazon categories, often there in a dishonest attempt to attract readers. This might result in more sales in the short-term but it doesn’t mean more readers, and it runs the risk of annoying people who know when they’ve been misled. And the sad truth seems to be that readers of literary fiction are less likely to go trawling through the Kindle Store in search of things to read. They are much less likely to be prepared to read ‘unknown’ writers, and so grabbing their attention is definitely a big problem. Comment: Questions or observations for Rosaline Riley can be left in the comments section below. If you’re an author who wishes to join the ranks of other writers of literary fiction who have participated in the LitFic survey, click here. Rosaline Riley was born and grew up in Lancashire in the north of England. She lives in London now, and has one husband, four grown up children and five grandchildren. Visit Rosaline’s website or connect with her on Facebook and Twitter. I like Rosline’s touchstone of accessibility at different levels, so that many different readers can read and enjoy the same novel. And the same reader can come back to a book, older, and find more layers. And discover the book all over again. Yes, Alicia, I really do think this is important. It is something I strive towards. The writer has to build this in; it is an unlikely novel which would do this consistently by accident over its whole length. Some books which I read over and over are such a pleasure because it seems I find something new in each reading, as well as pieces I had forgotten I loved when I read them before.